KeyMed Partners Insurance Follow Up - KeyMed Partners, Inc.
Did you know that over 50% of denials are never refiled? That’s money down the drain. 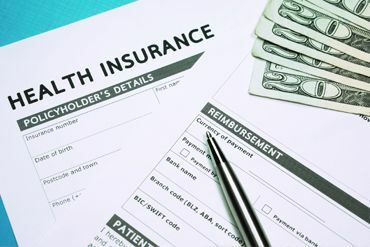 There are many reasons that half of denied insurance claims never get refiled. Healthcare providers are hard pressed to find the time and resources to track down the reasons why an insurance claim was denied or not paid in full. Untangling the reasons can be time consuming and requires an in-depth understanding of CMS policies, coding regulations, payer guidelines and coverage determinations. KeyMed Partners’ reimbursement specialists will make sure that your healthcare claims are fully paid. Our industry trained professionals have the knowledge and the persistence to resolve denial issues and reclaim all the revenue you are entitled to. How Much Revenue Are Denied Claims Costing You? KeyMed can resolve existing denials and help reduce or eliminate future issues in the long-term. Effectively addressing insurance denials requires reviewing historical claim data to identify the sources of incomplete claim reimbursements and working with your organization to prevent future issues. KeyMed’s Denial Management program stops serious revenue leaks. Learn more about how KeyMed Partners can restore your lost revenues.